I simply love traveling in Metro and trams. I often say, it is because I can’t afford taxis in foreign land. But there is something more to it. I stand and click pictures of metro trains and trams continiously. It can bore my companions to no end, but if I see a tram or a metro, I have to stop! 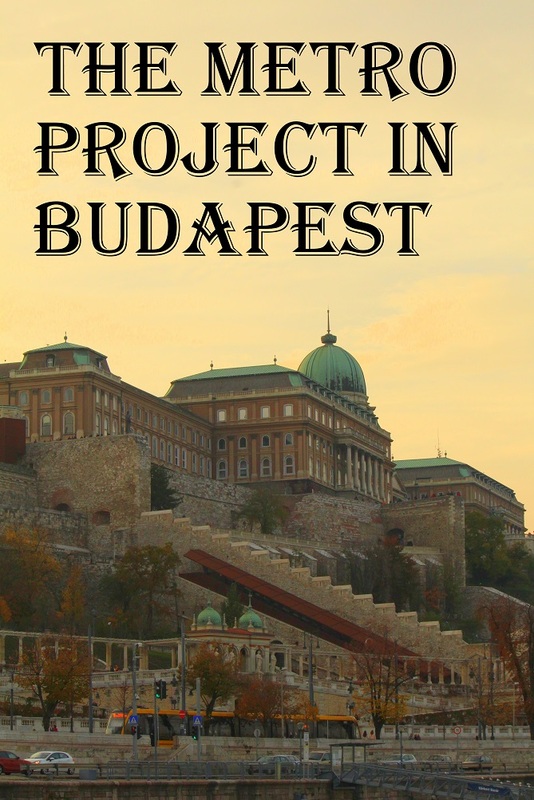 So, here I present the metro project in Budapest! 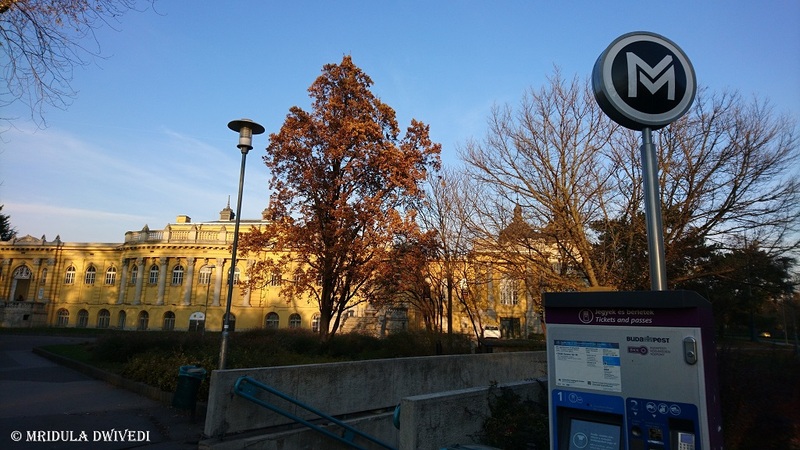 My first brush with the public transport in Budapest happened at the Batthyany Tér. We were looking to buy a travel pass and a phone SIM. 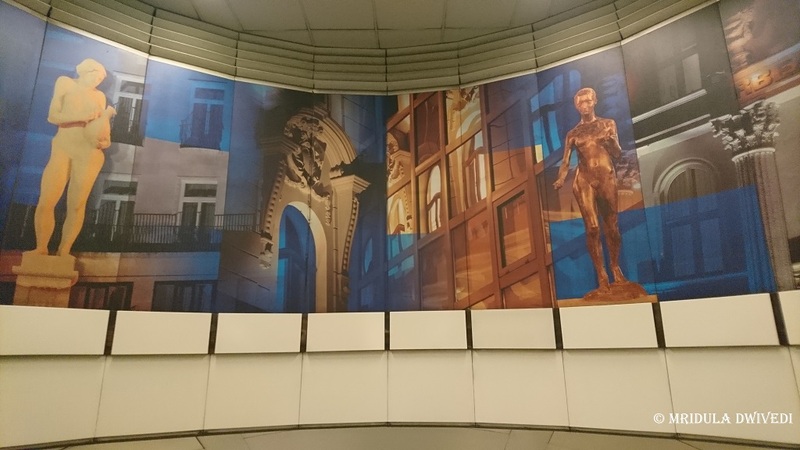 We got the travel card right at the Batthyany Tér which was a short walk from our hotel. For the SIM we traveled 2 stops to Déli pályaudvar, went to the nearest mall and got a SIM from Vodafone. Without Google Maps I am totally dead. I know there are paper maps, the trouble is I can’t read them. I need both, public transport and Google Maps to find my way in a new city! 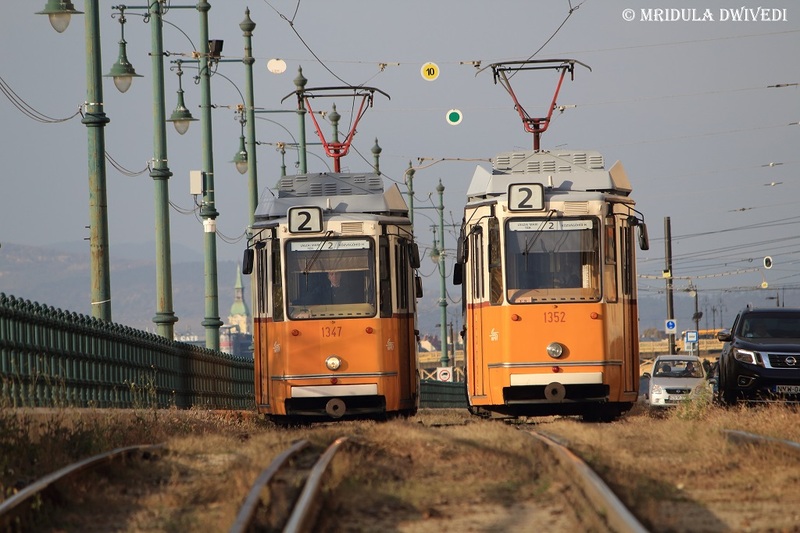 Tram 2 is said to follow the most scenic route on the Pest side of Budapest. 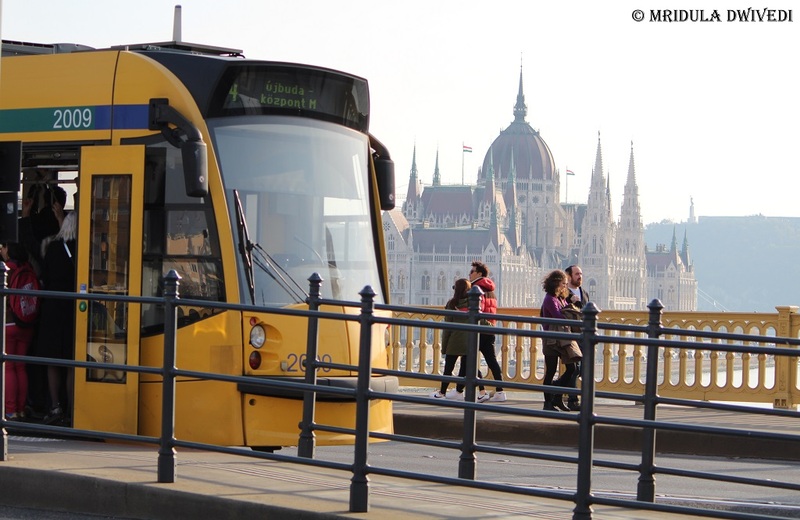 You board it from the Pest side and enjoy the views on the Buda side. We did it on the first day of our trip. We simply boarded the tram and went to the end point. And then we traveled back! That is the beauty of a having a travel pass, you can wander aimlessly. 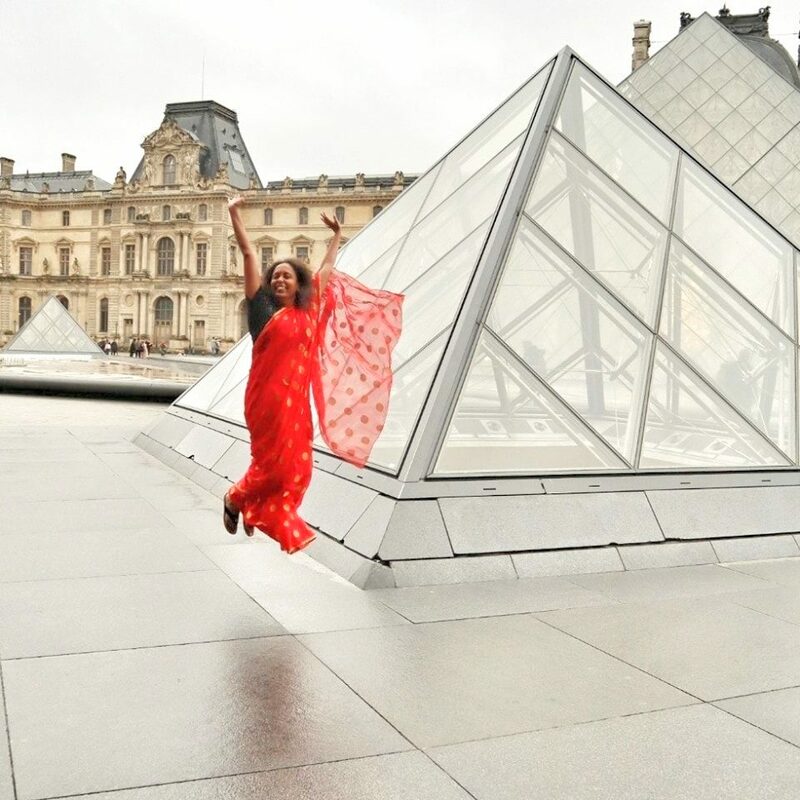 However, I would say do it after a few days of your stay as you would recognize the sites and enjoy them more! Deák Ferenc Tér is a big transportation hub. All lines M1, M2 and M3 intersect here. Come out and you are close to the Budapest Eye. You can walk up to Andrassy Avenue. The airport bus E100 is available from here. 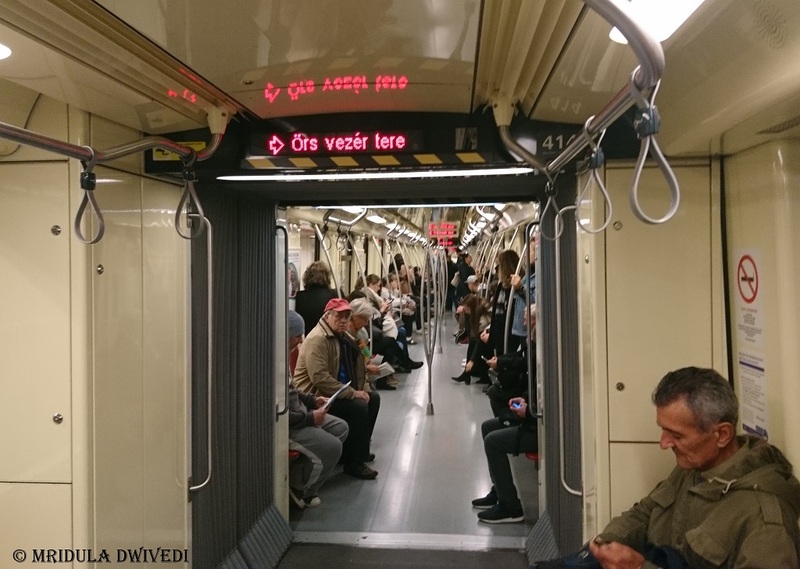 Deák Ferenc Tér takes you to the city center. It is two stops away from Batthyany Tér. 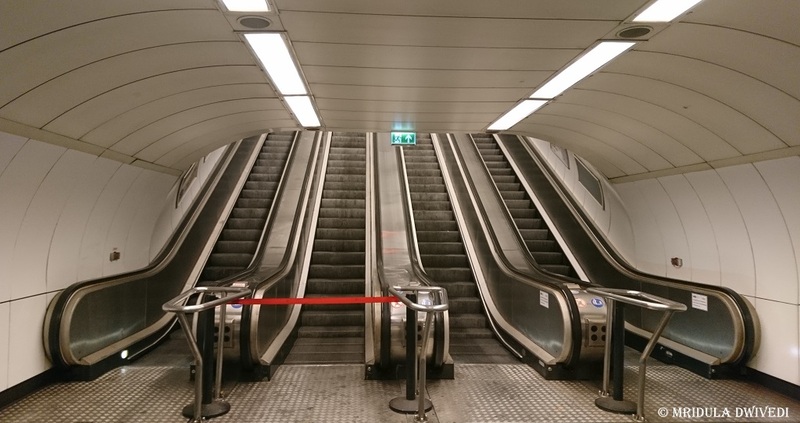 We changed at the Deák Ferenc Tér to M1 to go to the Széchenyi Fürdő Metro Station. Our destination was the Széchenyi baths. It was an easy change and an baths, an amazing experience! This black and white sign tells you that you are near a metro in Budapest! 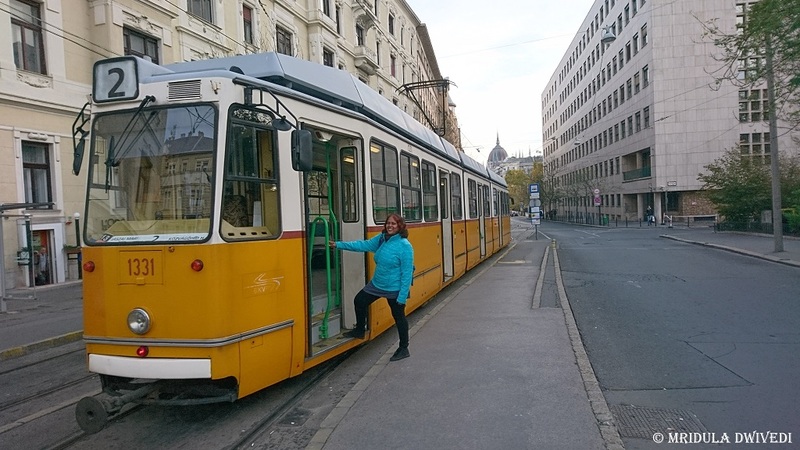 It became a familiar site for us in our stay as we used both the metro and the tram extensively! My Ticket Collection is Growing! I am proud to present my ever growing card and the ticket collection. The first at the bottom is the the day pass from Bangkok, followed by Singapore, Delhi Metro, Prague Card, Dubai Metro and then the 3 day pass from Budapest! I managed to click a picture of my sister with the tram! And I am now itching to have something like this for myself! Well, it has to wait till the next trip now. I am sure my sister found it a bit strange, my addiction to all things metro and tram! But I hope she reads this post and enjoys my craziness a bit! 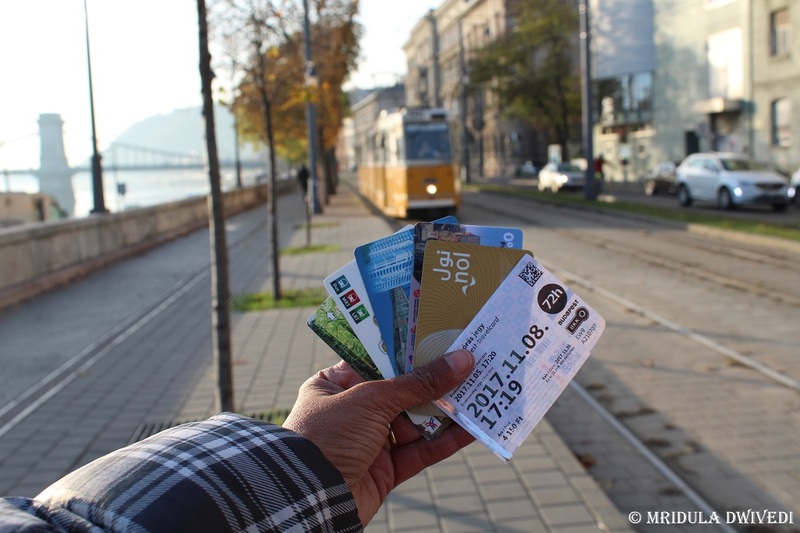 I leave you with the video and a hope that I will catch many more trams, collect many more cards over different cities in the world!